This wonderful painting did not satisfy its creator. 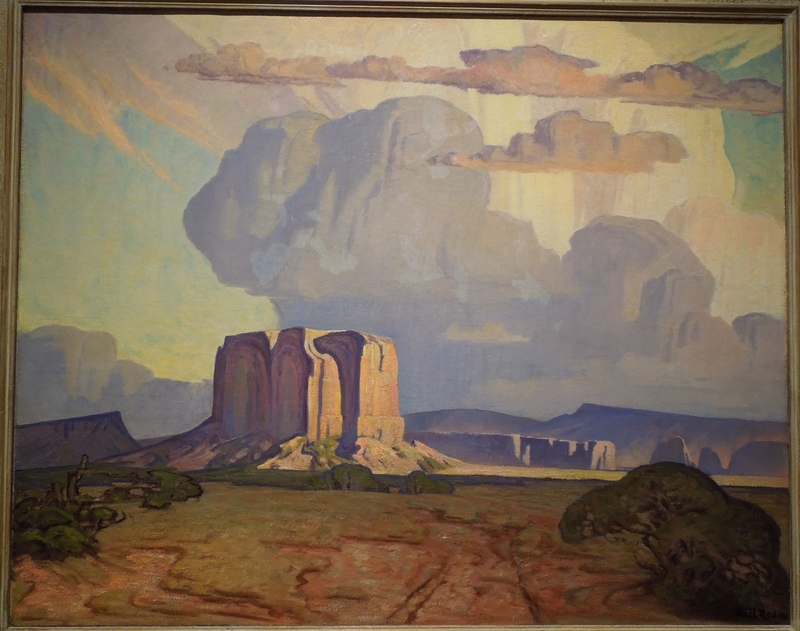 This is Enchanted Mesa, painted about 1930 by Carl Redin. Like the southwest landscape in my previous post, I love this, the lines and the “weight” of the rocks and dark clouds. 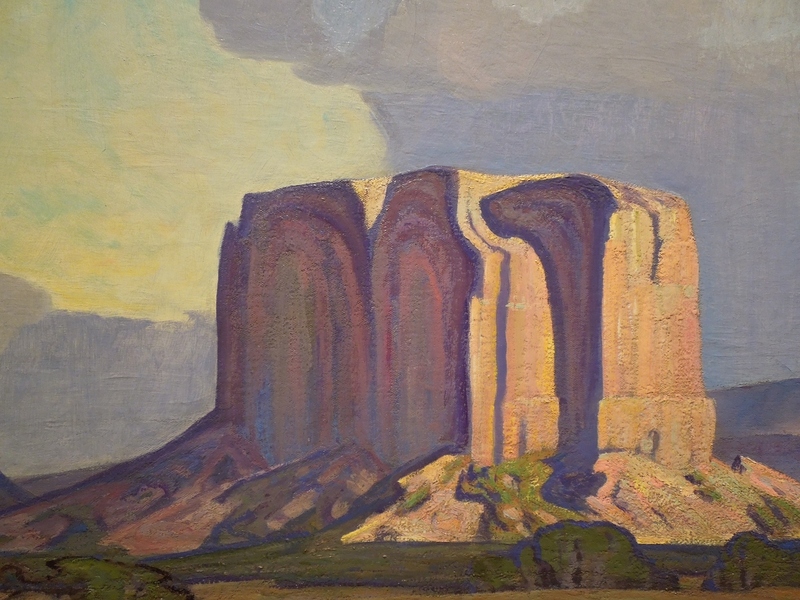 Here is a detail of the mesa and its rainbow-colored rock in shadow. Something to think about for all of us, especially those of us who write. What a lovely and strong painting! I am especially enthralled by how strong the Enchanted Mesa appears, impregnable and yet so rainbow-beautiful. Strong…that’s a great word for it.